AronnaX is the Live-project of Psyorama alias Stefan Greiner and Sven Baschnagel from south german Freiburg i. Breisgau. 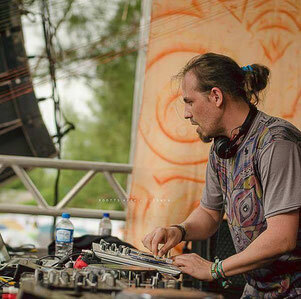 Stefan aka Psyorama is on the move in the PsyTrance scene since 2008. Sven studied sound engeneering at the SAE and is known for many years in the Reggae scene of Freiburg. He produced several tracks, from Dancehall to Ambient, which can be found at YouTube under Swimming Lights. In 2011 Stefan started experimenting with Groovebox and Drum soundmachines until finally 2012 he knew and loved the possibilities of digital sound design. After having several soundsessions with Sven in 2013, both recognized the advantages of working together and from that time on their collaboration was sealed. Stefan joined Binary Audio Machinery Records in 2012 as Dj Psyorama and also with his AronnaX Live-project in its early stage, Sven followed in 2013 to the BAMily. Since that moment both of them give life to the AronnaX project. 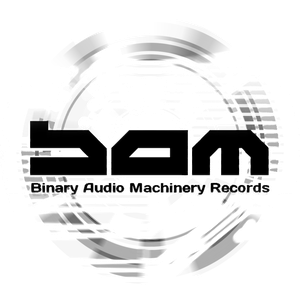 Impalling basslines and organic melodies stand for their unique sound, reminding the Oldschool FullOn from 2004-2008. 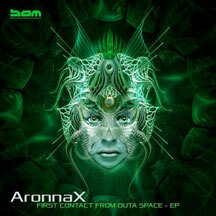 Influence and inspiration comes from the acts of the south american PsyTrance scene.